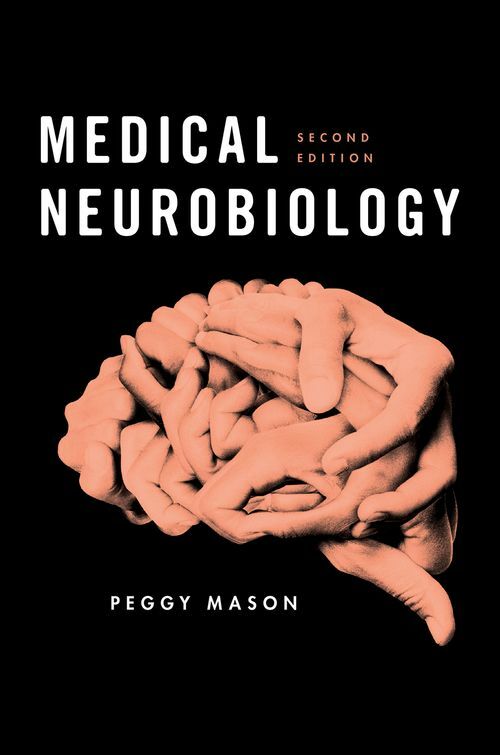 Medical Neurobiology, Second Edition continues the work of Dr. Peggy Mason as one of the few single author textbooks available. Written in an engaging style for the vast majority of medical students who will choose to specialize in internal medicine, orthopedics, oncology, cardiology, emergency medicine, and the like, as well as the student interested in neurology, psychiatry, or ophthalmology, this textbook provides a sturdy scaffold upon which a more detailed specialized knowledge can be built. Unlike other neuroscience textbooks, this new edition continues to focus exclusively on the human, covering everything from neuroanatomy to perception, motor control, homeostasis, and pathophysiology. Dr. Mason uniquely explains how disease and illness affect one's neurobiological functions and how they manifest in a person. Thoroughly updated as a result of student feedback, the topics are strictly honed and logically organized to meet the needs of the time-pressed student studying on-the-go. This textbook allows the reader to effortlessly absorb fundamental information critical to the practice of medicine through the use of memorable stories, metaphors, and clinical cases. Students will gain the tools and confidence to make novel connections between the nervous system and human disease. This is the perfect reference for any medical student, biology student, as well as any clinician looking to expand their knowledge of the human nervous system. New To the Second Edition of Medical Neurobiology: * New sections on cerebral palsy, brain cancer, traumatic brain injury, neurodegenerative diseases, aphasia, and Kallmann syndrome; * Incorporates easy to understand visual guides to brain development, eye movements, pupillary light reflex, pathways involved in Horner's syndrome; * Presents real-life dilemmas faced by clinicians are discussed from both the medical point of view and the patient's perspective; and * Additional reading lists are provided at the end of each chapter that include first-hand accounts of neurological cases and scientific discoveries (e.g. HM). Key Features Include: * Written in an accessible and narrative tone; * Uses metaphors and clinical examples to help the reader absorb the fundamentals of neurobiology; and * Highly illustrated with over 300 figures and tables for full comprehension of topics covered. Dr Peggy Mason's love of science gained an early start as a child taxidermist in Washington, DC. She received her BA in Biology (1983) and PhD in Neuroscience from Harvard University in 1987 and completed her post-doctoral training in Neurology at UCSF in 1991. She is currently a Professor of Neurobiology at the University of Chicago. She is committed to teaching neurobiology to anyone that will listen and has won multiple awards for her teaching of medical students at the Pritzker School of Medicine. She is the inaugural director of the Neuroscience program at the University of Chicago College. Her massively open online course (MOOC) on Understanding the Brain: The Neurobiology of Everyday Life has reached more than 100,000 students. In groundbreaking work that has garnered worldwide attention and excitement, Dr. Mason demonstrated that rats help other rats in distress. Her laboratory continues to investigate the biology of empathy and pro-social behavior.